Spaniels are a popular choice when it comes to a family dog. As these dogs come in all shapes and sizes and are intelligent, good-natured and affectionate, it’s not surprising. With over twenty types of Spaniel to choose from. 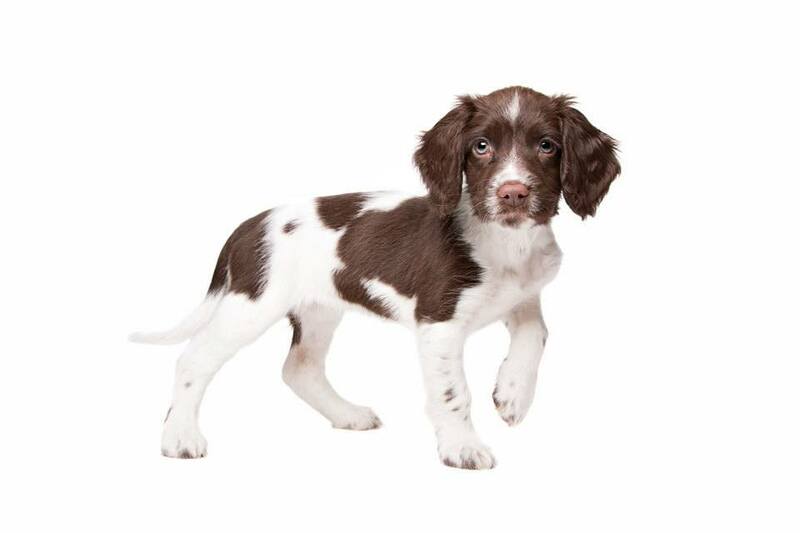 How do you pick the right Spaniel for you and your family? Well, we’ve got the low-down on each of them. Some breeds like the Springer Spaniel and Cavalier King Charles Spaniel are well-known. While others like the Sussex or Clumber Spaniel are less familiar. Despite the extensive choice, all Spaniels come from working stock. So let’s have a brief look at the history of the Spaniel before we dive into each distinct breed. Spaniels gained their name from the Latin word Hispaniolus meaning ‘Spanish’. The popular theory is that the modern Spaniel descends from hunting dogs brought to Britain by the Celts as early as 900 BC. Spaniels were valued for their versatility to hunt different game and their ability to work within the diverse terrain. Whether it was game birds, waterfowl or rabbits. The Spaniel was relied upon to retrieve the game no matter where it fell, woodlands, rivers or open land. Their ability to flush out prey from the surrounding countryside, retrieve with a soft mouth and unerring capacity to recover fallen game using their powerful sense of smell, made Spaniels invaluable as a hunting partner. As hunting evolved so did the Spaniels. During the seventeenth century, Spaniels were bred for distinct hunting groups; water and land with different characteristics valued in each. Not only that but as guns became the weapon of choice for hunting, dogs were expected to be steady and tolerant of a gunshot. So, can a gundog with a strong instinct to hunt be a good family pet? Despite their background as working dogs, Spaniels make excellent family dogs given the right environment. While most Spaniels require above average exercise. There’s such diversity in types of Spaniel that there’s bound to be one that will fit in with your lifestyle. Affectionate, loyal and enthusiastic the Spaniel breed has a well-deserved reputation as an adaptable if somewhat bouncy breed. Merry, outgoing and gentle, the American Cocker Spaniel is a medium size dog. Ranging from thirty-four to thirty-nine centimetres in height and fifteen to thirty pounds in weight. Not only is the American Cocker affectionate and kind but it’s also even-tempered making it an ideal family dog. 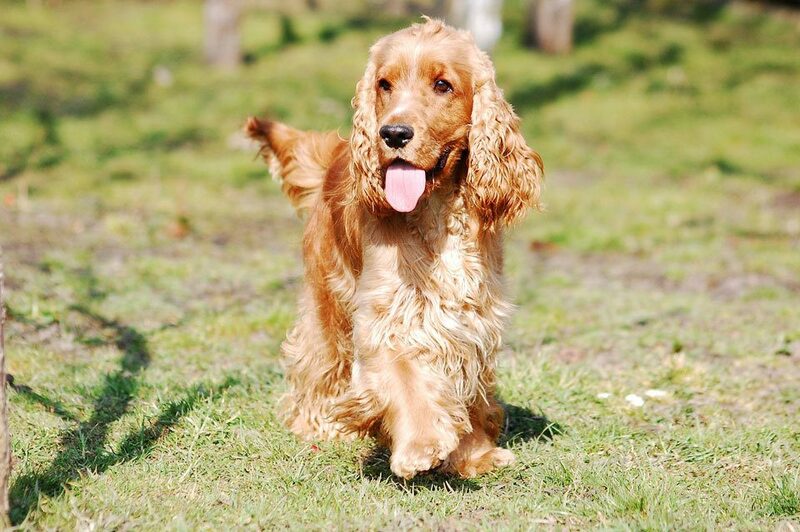 As they are energetic and intelligent the American Cocker Spaniel needs daily exercise and mental stimulation to keep it truly happy. And they are high maintenance in the grooming department. American Cockers come in a variety of colours including black, Tri-colour, Red, Silver, Brown, Tan, White & Buff. Although not well known outside of the USA there is a lot to like about this active and alert dog. The American water spaniel is a medium size dog. Weighing in at around twenty-five to forty-five pounds. A proficient hunter and retriever, the American Water Spaniel, is none the less a good family dog. Not only is the American Water Spaniel loyal and obedient but it will excel in an active family home where it is provided with positive outlets for their abundant energy. Coat colours vary from liver, brown and dark chocolate with the occasional white patches on the chest or toes. The doubled layered coat has a wavy or curly top coat and a dense underlayer that protects from the elements. If you want a dog that’s lively, friendly and has plenty of energy, the American Water Spaniel could be the perfect dog for you. Originating from France the Blue Picardy Spaniel is a large Spaniel. Standing at around fifty-six to sixty-one centimetres at the withers and weighing in between forty-three to forty-five pounds. The Blue Picardy has a thick, flat coat that may be slightly wavy. It’s distinctive colour of speckled black-grey gives it a bluish hue. Gentle, friendly and obedient the Blue Picardy Spaniel thrives in an active home and is good with children. Like most Spaniels, the Blue Picardy had boundless energy and can become destructive if they haven’t got a way of burning it off. Versatile and quiet the Blue Picardy thrives on human companionship. The ideal environment will enable this smart, sociable and affectionate dog to shine. 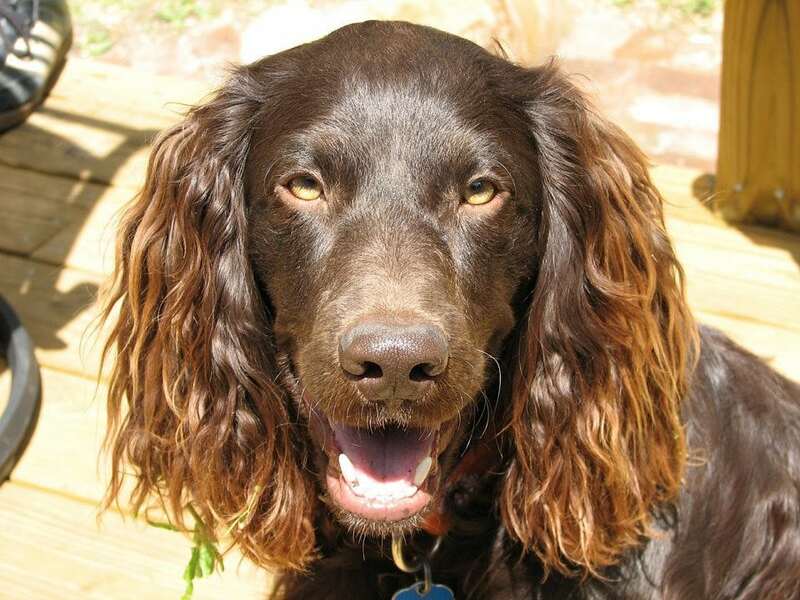 Confident, friendly and smart, the Boykin Spaniel is a medium size dog. Standing around thirty-six to forty-six centimetres tall and twenty-five to forty pounds. 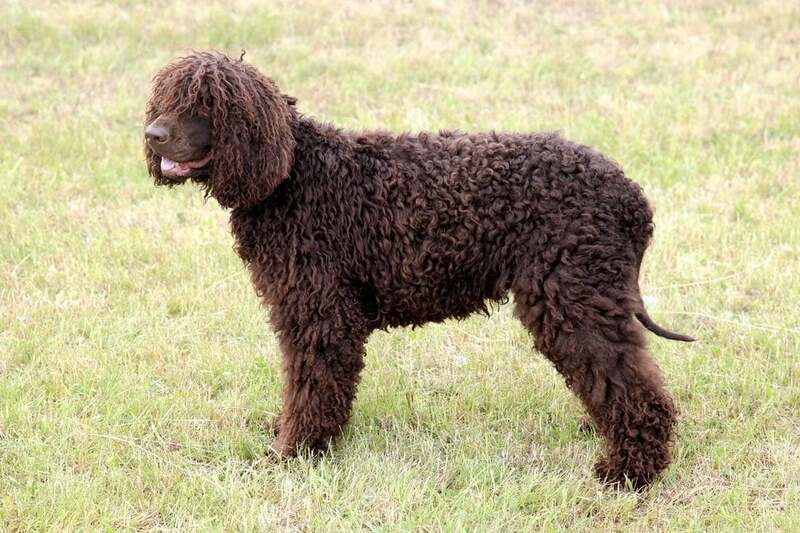 The Boykin has a flat or wavy coat that is chocolate brown with a dense underlayer that protects from the elements. Low maintenance a weekly brushing and occasional bath is all that’s required to keep the Boykin coat in good shape. Excellent family dogs, the Boykin is easy to train, biddable and eager to please. However, they have lots of energy and stamina so need an active home to keep them happy. Adaptable and sociable, they are never the less a dog, that loves to work. Social, good-natured and alert, the Brittany is a Spaniel that is busy, busy, busy. Their irrepressible enthusiasm for life makes them an attractive member of the family and a capable working dog. Medium in size at thirty to forty pounds the Brittany loves to work and is very task driven. If they don’t have an outlet for their energy and intelligence, the Brittany can become neurotic and destructive. 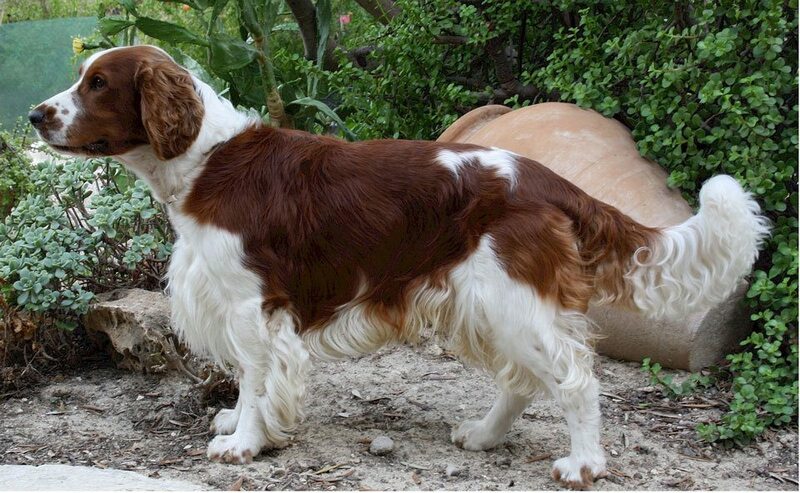 The Brittany’s coat is dense, flat or wavy and is most often orange and white or liver and white. They shed very little which makes the coat easy to maintain with weekly brushing and a bath only when necessary. Brittany’s are not for the faint-hearted. 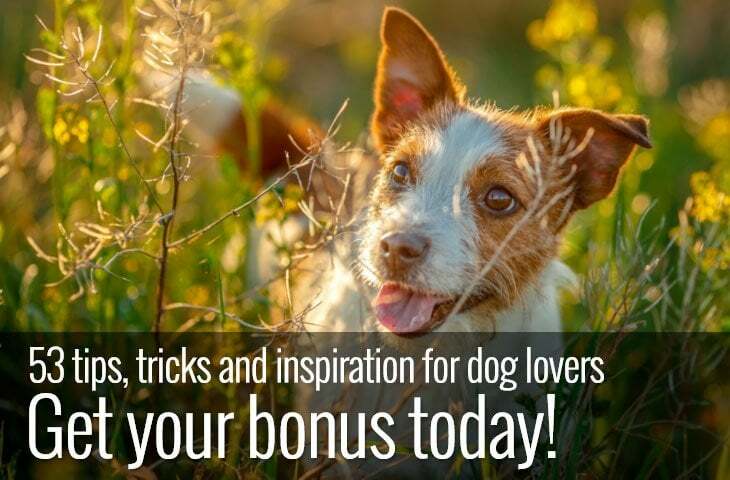 Their stamina and energy makes them a challenging dog for first-time owners. But if you can offer the Brittany lots of physical and mental exercise, they make gentle and happy family dogs. The Cavalier King Charles Spaniel is a friend to all. This small but sturdy dog loves people and hates to be left alone. Small in size ranging from thirty to thirty-three centimetres in height they are adaptable, intelligent and affectionate. Perfect for first-time owners who are around most of the day. The Cavalier King Charles is loyal, undemanding and eager to please. 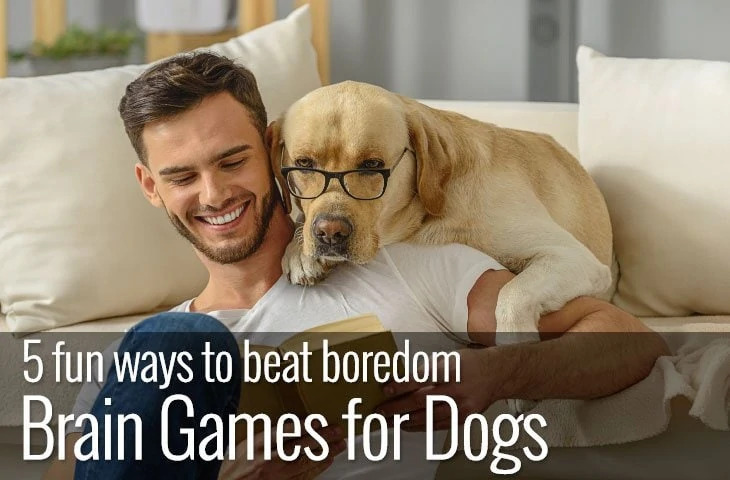 While the Cavalier King Charles lacks the high energy levels and prey drive of some other Spaniels, they still need a fair amount of exercise and mental stimulation to keep them happy. However, they are flexible housemates loving a comfortable lap as much as a long walk. Their gentle and eager nature combined with their small size makes them ideal for families with children. Medium to high in grooming requirements. The Cavalier King Charles coat is long, silky and straight or slightly wavy. With colours ranging from black and tan, red, white and red and tricolour this little dog thrives when included in family life. The Clumber Spaniel is the largest of the spaniel breeds. Standing between forty-three to fifty-one centimetres high and weighing in between fifty-five and eighty-five pounds, the Clumber is a strong and powerful dog. 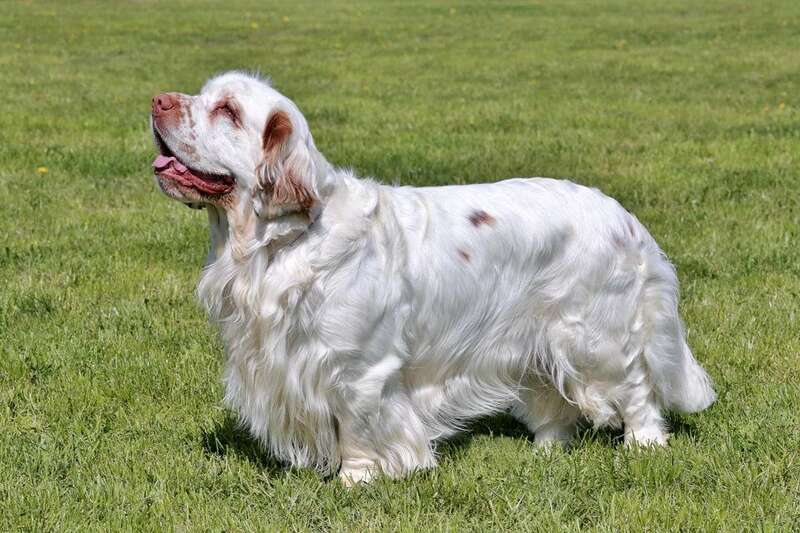 Despite its powerful build, the Clumber spaniel is a gentle, calm and easy going dog. While the Clumber retains the endurance and hunting instincts of its spaniel cousins, it does so in a methodical and relaxed way. 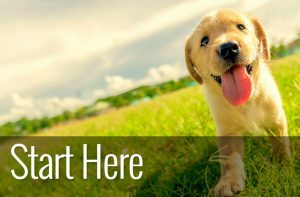 The Clumbers adaptability and laid-back nature make it a good dog for first-time owners and families. Although it can be stubborn at times. While more relaxed than some other spaniels regarding exercise requirements. The Clumber has higher than average grooming requirements. Daily brushing is required to keep shedding under control. Not only that but, as the Clumber has a white coat with lemon or orange markings they need bathing more often than darker coated dogs. However, if you want a reliable, loyal and affectionate dog, the Clumber could be the dog for you. 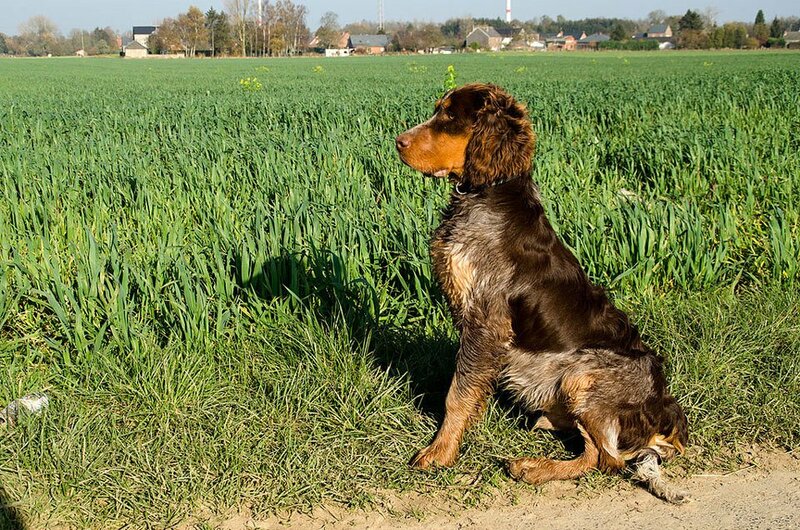 The Drent as it’s more commonly known was developed in the Netherlands to be equally comfortable as a hunting dog, farm dog and family companion. Medium to large standing at around fifty-five to sixty-three centimetres the Drent has a dense coat that is white with brown markings. While the Drentse Patrijshond is very much a working dog, given the right environment they excel as a family pet. Devoted to its family, the Drent is playful, enthusiastic and loyal if somewhat stubborn. More suitable for an experienced home the Drent is never the less an adaptable dog that craves human company. Grooming needs are daily. And you can expect a fair amount of shedding throughout the year. As with most Spaniel’s providing enough exercise is vital to keep your dog happy and healthy. Cocker spaniels are intelligent, kind and determined. Given the right environment, they make ideal family pets and bond strongly with their special people. Athletic and energetic, Cockers have above average exercise needs. What’s more, it’s essential to keep the Cocker spaniel mentally engaged as they are smart dogs that don’t do well when bored. Devoted to their family, Cocker Spaniels tend to suffer from separation anxiety.As such they are unlikely to shine in a home where they are left alone for long periods of time. Playful and eager to please Cockers also have a mind of their own and will sometimes choose their way of doing things. Not only that but English Cocker spaniels are excellent alert dogs. They enjoy the sound of their own bark, so if you’re looking for a quiet dog, you may want to stay clear. Cocker Spaniels have medium to long coats that are flat or slightly wavy. Colours vary and include Black, liver, black and tan and shades of red. Weekly brushing keeps the Cockers coat in good shape and a bath only when needed. English Springer Spaniels are devoted, adaptable and loving dogs. Although they need plenty of daily exercise, they are an excellent fit for an energetic family. Whether show dogs or working dogs the Springer Spaniel is an easy-going dog that is energetic, alert and curious. Like a lot of Spaniels, the English Springer does best in a family where someone is home most of the day and can provide company as well as mental stimulation for their dog. The English Springer Spaniel has a double, weather-proof coat. The topcoat is flat or wavy and medium in length; the dense undercoat is short and soft. 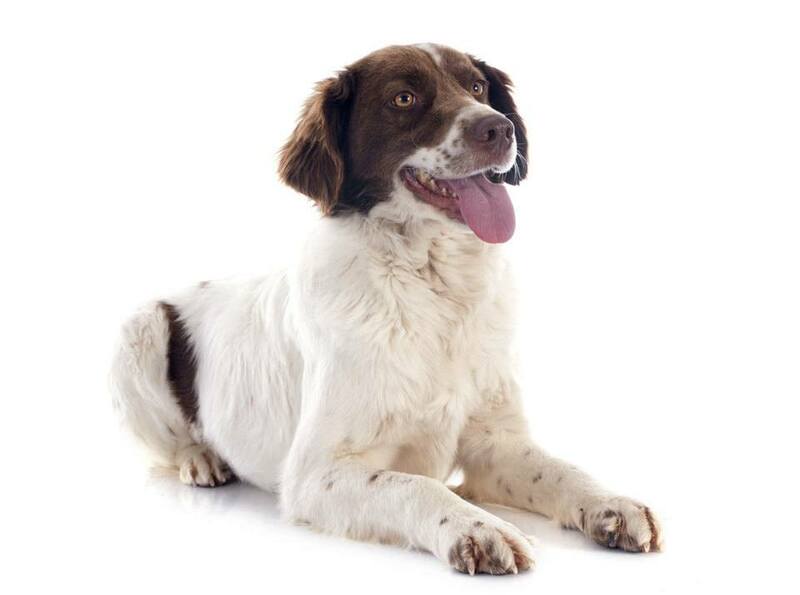 The Springers coat comes in black, liver, predominately white with black, liver or white markings. And to keep the coat looking its best a daily brush is ideal. The Field Spaniel is a medium size dog that loves people. Although in need of plenty of exercise the Field Spaniel is a playful and gentle housemate. While the Field Spaniel has an independent streak, they are nevertheless biddable and eager to please. 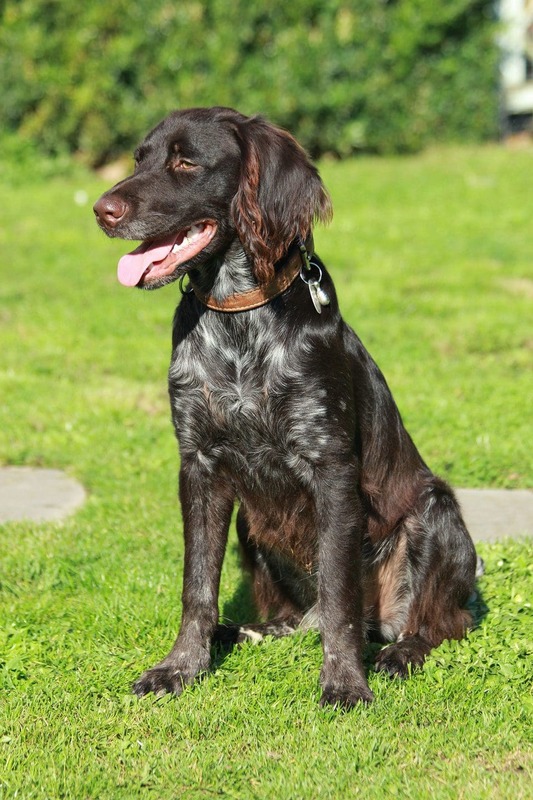 Loving, easy-going and smart the Field Spaniel can be sensitive and needs gentle handling. Patient with children the Field Spaniel does best when kept busy as it doesn’t tolerant boredom well. 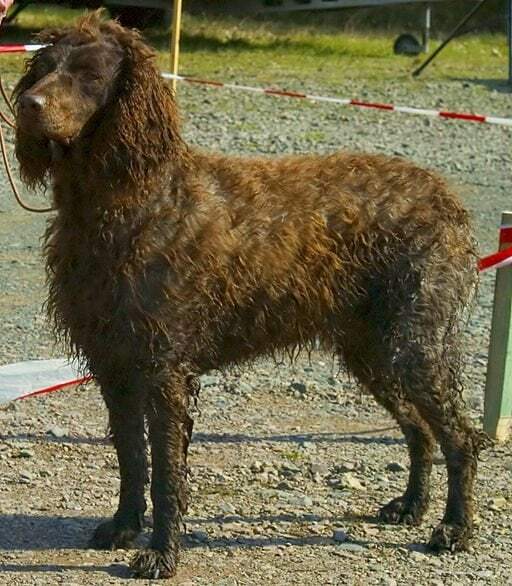 Considered a rare breed the Field Spaniel has a single, easy to care for coat in colours of black, liver and roan. Like the Cocker, the Field Spaniel can be vocal, although they are much more of an ‘alert’ dog than a guard dog. 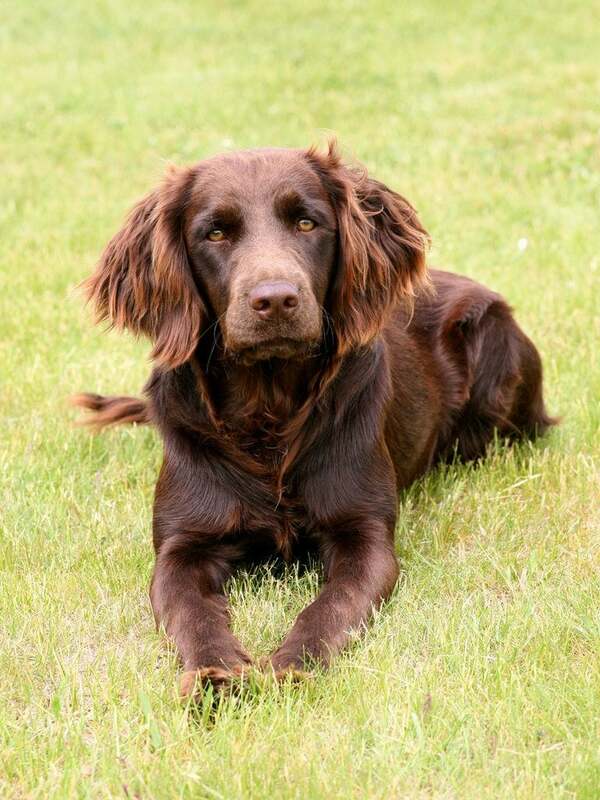 Active, inquisitive and affectionate, the Field Spaniel is perfect for an experienced owner who can provide the right environment for this beautiful, energetic if sometimes stubborn dog. Athletic, intelligent and even-tempered, the French Spaniel is a large dog, most typically with a brown and white coat. The easy to care for coat is feathered, medium length and needs brushing twice a week to keep it in good shape. Outgoing, hardy and determined, the French Spaniel is calm and gentle with children making them an excellent choice for a family pet. As with most Spaniels, gentle handling is needed as they can be sensitive and can suffer from harsh treatment. Not only is the French Spaniel adaptable, sociable and loving but it’s also highly biddable and devoted to its family. However, it does need a lot of exercise and still enjoys going back to its roots and hunting in the great outdoors. The German Spaniel, also known as the Deutscher Wachtelhund (German quail dog) is a medium size muscular dog. Sociable with both humans and other dogs the German Spaniel is nevertheless a keen hunter and is happiest when tracking prey. The German Spaniel’s high prey drive means it’s a challenging dog for a first-time owner but in the right hands is an amenable and loving pet. Confident and biddable, the German Spaniel is a docile but highly energetic dog. Just like most of its Spaniel cousins the German Spaniel thrives in human company and doesn’t do well left alone for long periods of time. With a thick, wavy coat the Germany Spaniel is a heavy shedder. But twice weekly brushing should keep loose fur under control and the brown or roan coat looking healthy. Loyal and affectionate the German Spaniel is a versatile dog in the right environment. One of the most distinctive looking dogs of this breed group, the Irish Water Spaniel is also the largest standing at around fifty-one to fifty-eight centimetres tall. Sporting a dense curly, liver coloured coat that sheds very little, the Irish Water Spaniel is easily recognisable. As the name suggests, this dog loves water and is an excellent swimmer benefitting from a protective double coat and webbed feet. The Irish Water Spaniel (IWS) is affectionate, playful and clownish. Both intelligent and eager to please, they nevertheless have an independent streak that some people might find challenging. In the right environment, however, the Irish Water Spaniel makes a loyal and loving pet and is a gentle and amusing companion for children. As with most spaniels, exercise needs are above average. The Irish Water Spaniel will happily run all day and still have the energy for playtime. Devoted to their family, the Irish Water Spaniel can be wary of strangers. Although not a vocal dog they will alert bark to let family members know of approaching visitors. Like most Spaniels, the IWS forms a powerful bond with its family, as such this dog thrives in a home where someone is around most of the day. Separation anxiety is common in the breed, and they can be destructive if left for long periods of time. If you are looking for a fun-loving dog with a real sense of humour, the IWS could be the perfect dog for you. 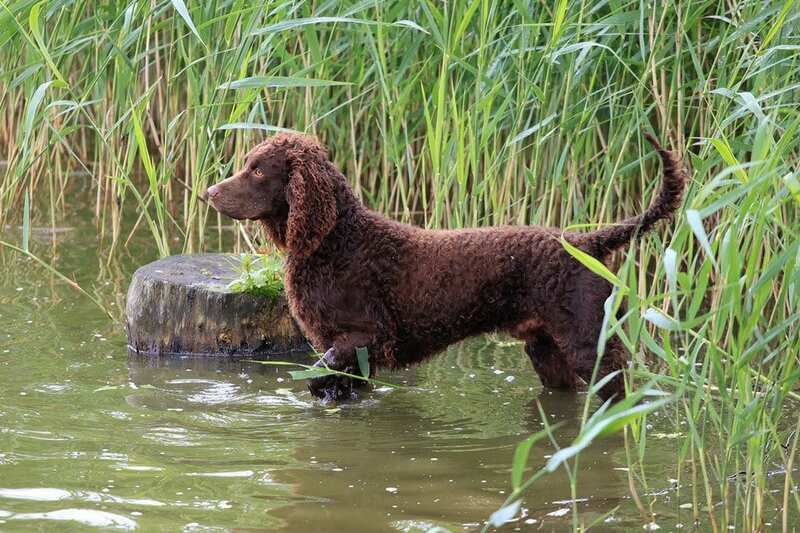 As a rare breed they are not always easy to find, but if you are lucky, the Irish Water Spaniel will reward you as a devoted and affectionate companion. Not to be confused with their close cousins, the Cavalier King Charles Spaniel, the King Charles is smaller in size with a shorter face. Standing at only twenty-three to thirty-three centimetres high King Charles is a diminutive dog with a happy, calm and gentle personality. 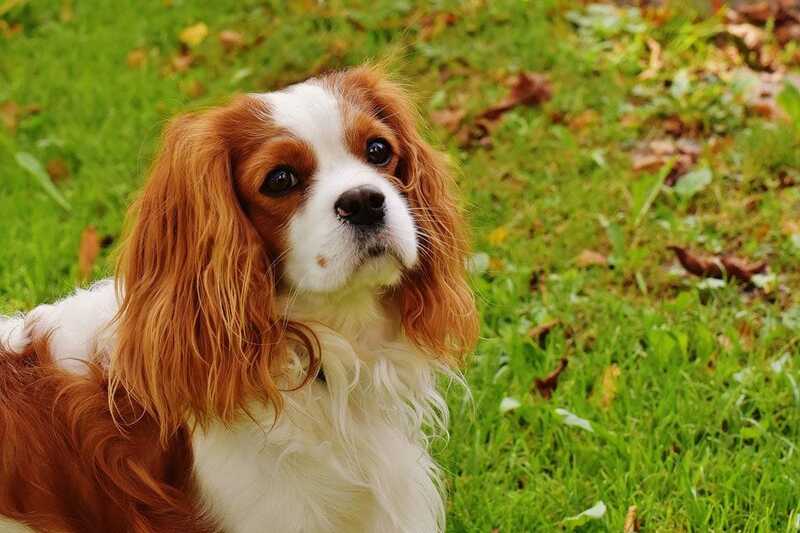 The King Charles Spaniel is intelligent, biddable and affectionate. King Charles are quiet dogs and unlike a lot of other Spaniels are content with two thirty-minute walks a day. Their small size, quiet nature and relatively low exercise needs make them a popular choice for families. However, the King Charles does not tolerate rough handling, so caution is needed around children. King Charles has a beautiful, silky coat that needs daily brushing to keep it tangle free and looking good. They come in four coat colours know as ‘King Charles’ which is black and tan, ‘Prince Charles’ which is tri-coloured, ‘Blenheim’ which is red and white and ‘Ruby’ which is a solid rich red. As King Charles Spaniels thrive on affection, they are not suitable for families that are out most of the time. Although the Kooiker is not well-known outside of its native country of the Netherlands. They are an old breed of Spaniel developed during the sixteenth century as duck tolling birds. Loyal and affectionate the Kooikerhondje is hardy, energetic and intelligent. Biddable and eager to please these Spaniels do well in an active home that can provide plenty of exercise and mental stimulation. Cheerful, adaptable and good natured, the Kooiker makes a great family pet. However, as with most Spaniels, they can be sensitive so don’t tolerate harsh handling very well. Alert and good-natured the Kooikerhondje is a quiet dog that is well-mannered if shy around strangers. The Kooiker has a double, orange and white coat and sheds moderately throughout the year, increasing in spring and autumn. A weekly brushing is all that’s needed to keep the Kooiker’s coat looking its best. 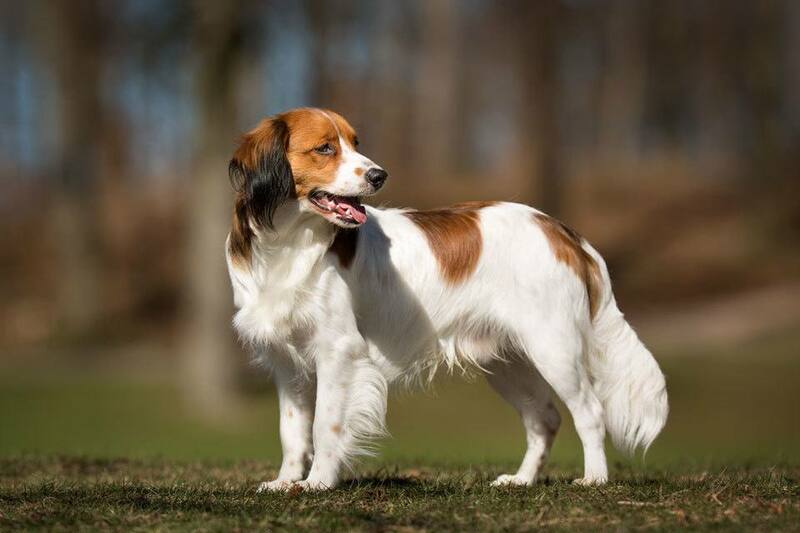 The Kooikerhondje is an adaptable dog, making it an excellent choice for an active family that can provide the exercise needs of this cheerful and good-natured dog. Another Spaniel hailing from the Netherlands, the Markiesje is small, intelligent and calm. Also known as the Dutch Tulip hound, the Markiesje is the perfect companion dog. This isn’t to say that this loyal and even-tempered dog does not require adequate exercise or mental stimulation. Just that the Markiesje is an adaptable dog that thrives on human companionship. The Markiesje’s coat is black or black with patches of white and is elegant and silky, needing weekly brushing to keep it looking its best. Cheerful and curious the Markiesje is an excellent watchdog, alert barking at strangers. 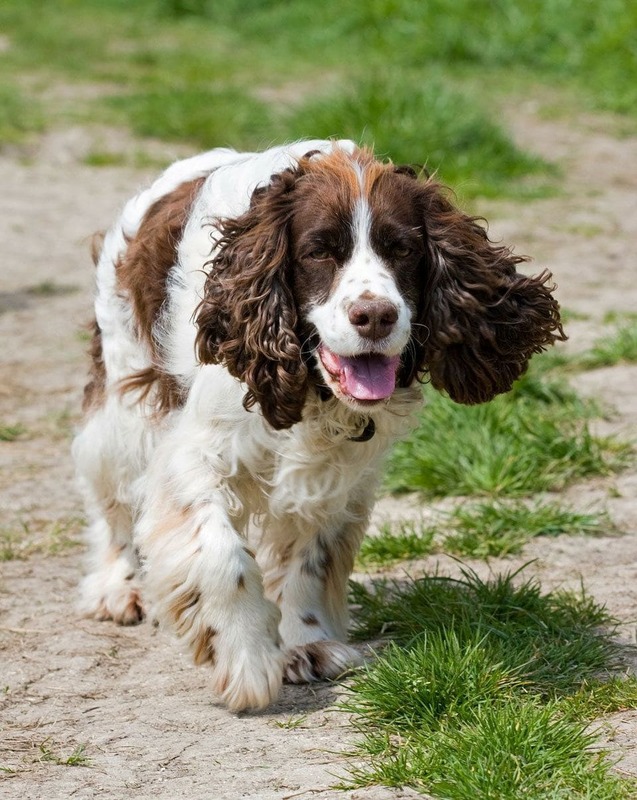 But with family, this small Spaniel is playful, friendly calm and tolerant. If you have a small space in your life for a good-natured companion that enjoys long walks and plenty of attention, the Markiesje could be the perfect dog for you. Outgoing and energetic the Papillon might look like the perfect lapdog but appearances can be deceiving. This little dog is a high-energy busy Spaniel. Very intelligent, the Papillon is easy to train, if somewhat stubborn. Confident, happy and affectionate the Papillon is an excellent watchdog, alert barking to protect family members from unknown visitors. While fearless, the Papillon has no idea of its small size and will not think twice about asserting its authority over larger dogs. Though the Papillon gets along well with children and other pets, they will not tolerate rough handling. This small dog will not think twice about defending itself, meaning that supervision of children and this self-assured spaniel is essential. 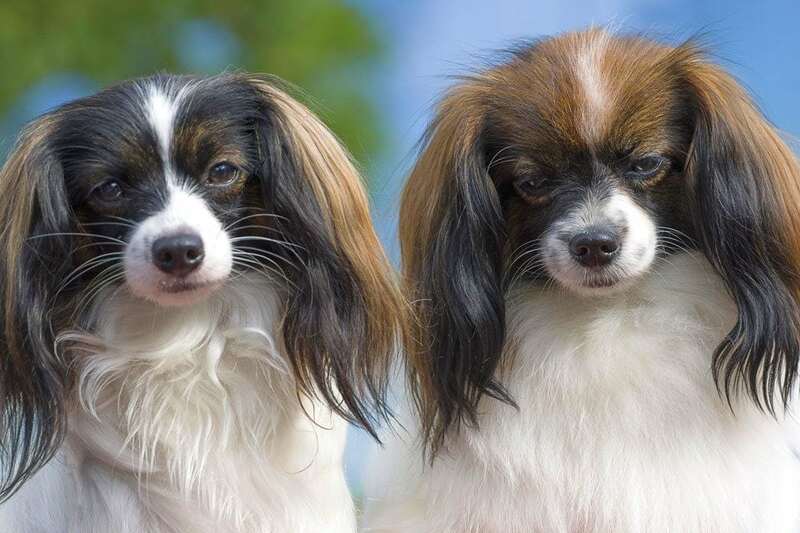 Despite the Papillon’s long flowing coat, it isn’t prone to mats or tangles. Brushing this Spaniels coat weekly or twice-weekly is all that’s needed to keep it in excellent condition. Papillons are always parti-coloured – white with patches of any other colour. 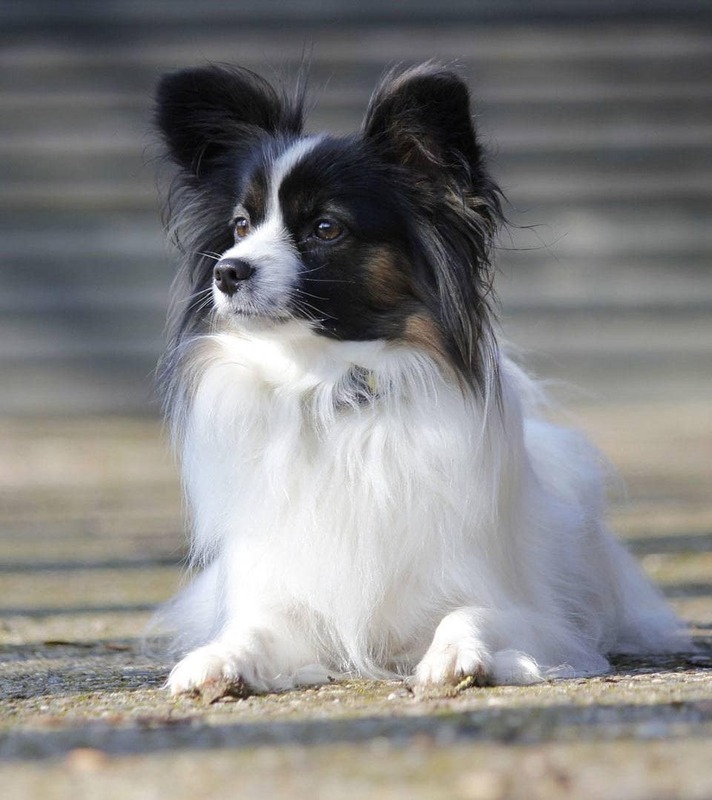 Regardless of the Papillon’s delicate looks and butterfly ears, this is a sturdy little dog that likes to be active. If you are looking for a lapdog, the Papillon is unlikely to fill that role comfortably. As an active companion, agility or obedience champion the Papillon is a loving and affectionate choice. The Phalene or ‘moth-eared’ Spaniel is the floppy-eared version of the Papillon. In fact, both Papillon and Phalene puppies can come from the same litter. While the Phalene was the earliest form of the Papillon, it was the butterfly eared version of this small dog that gained popularity in the nineteenth and twentieth century. In fact, the Phalene was so out of favour that the breed became endangered. Fortunately, the moth eared version of this toy Spaniel is enjoying a resurgence of interest. As you would expect, the Phalene shares all of its personality traits with its Papillion counterpart. Energetic, playful and affectionate with family they are nevertheless wary of strangers and make excellent watchdogs. 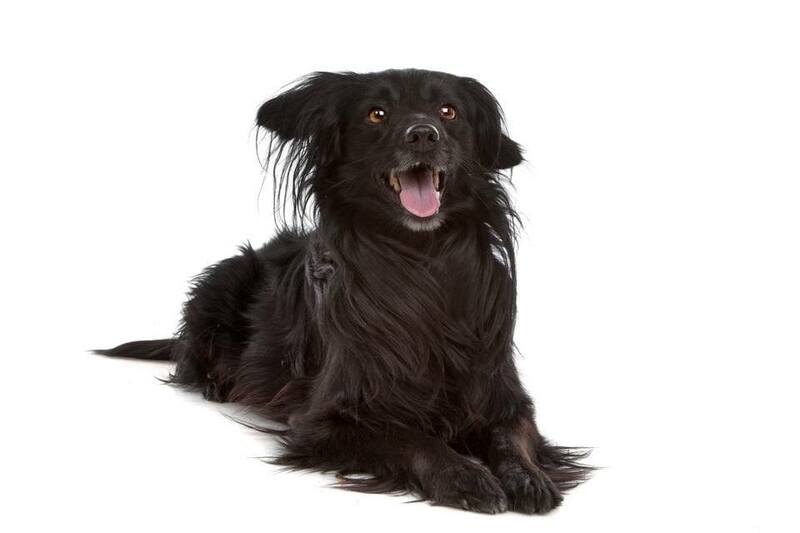 Although they can be vocal, the Phalene is not a ‘yappy’ dog and will usually alert bark when there is a need. Loyal and devoted the Phalene is an ideal companion for an active owner who will give them both the physical and mental exercise they need. Developed in France and closely related to the Blue Picardy Spaniel, the Picardy is the oldest of the two breeds. Although the two breeds share the same origins, the Picardy was crossed with various British breeds like the English Setter during the nineteenth century. 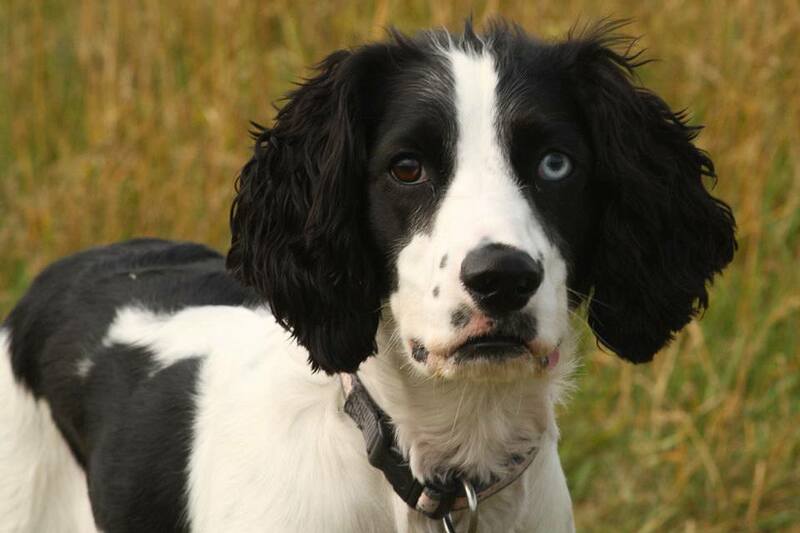 This cross-breeding led to the Blue Picardy Spaniel and subtle differences between the two Spaniels. Although extremely good with children, this calm, gentle and mild-mannered dog still needs plenty of exercise. The Picardy is a high-energy dog with above average activity needs so is ideal for an active family. Not only is the Picardy intelligent and biddable but it’s friendly and placid nature makes it easy to train. The Picardy is a dog that thrives when there’s a job to do. The Picardy is not a dog that likes to be left alone as it’s exceptionally devoted to its family. Docile and loyal the Picardy is sensitive and responds well to positive and fair handling. The Picardy’s coat is grey with brown patches and is dense and slightly coarse. Weekly brushing will keep your dog’s low-maintenance coat in good shape. Medium sized and stocky this rare breed hails from France. In fact, the Ponto, as it’s affectionately called was so unusual that after the Second World War it was crossed with Irish Water Spaniels to keep the breed alive. The Water Spaniel’s influence is evident in the curly coat that remains smooth around the face. And the coat colours of solid brown and brown and white roan. Gentle, affectionate and fun loving the Ponto is often referred to as ‘the little clown of the marshes’. Although the Pont-Audemer remains a predominately working dog, they can adapt to family life in the right home. Intelligent and eager to please the Ponto is easy to train if the training remains fun. Hardy and energetic, the Pont-Audemer Spaniel is ideal for an experienced working home or an active family that is willing to work as hard as it does. Playful and devoted the Ponto is not an ideal first-time dog but in the right environment is an engaging and devoted companion. A sturdy medium size dog resembling the Cocker Spaniel. 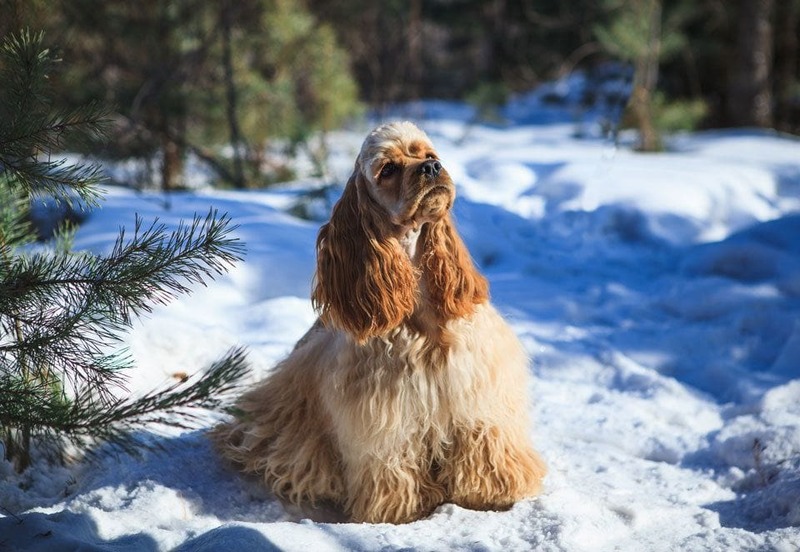 The Russian Spaniel is taller with a shorter, easy to care for coat and more extended body. Coat colours range from black and white, red and white, brown and white and tri-colour. Brush the coat weekly to keep it in good shape. 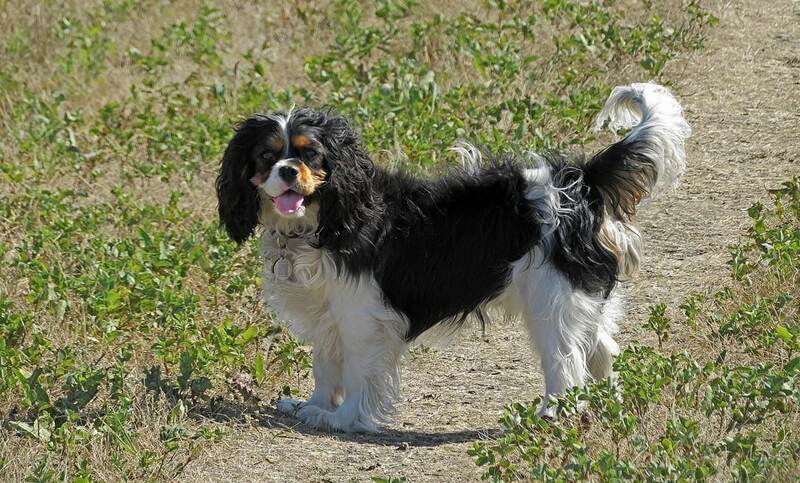 Easy-going and cheerful, the Russian Spaniel is equally comfortable as working or family dog. Their friendly nature and devotion to their owners make them ideal dogs in the right environment. Naturally athletic and energetic the Russian Spaniel needs plenty of exercise. And as they are playful, they are always up for a game or two. What’s more, the Russian Spaniel is intelligent and easy to train thanks to its mild-manner and willingness to please. If you can offer this versatile Spaniel, plenty of exercise and human companionships they will be a devoted friend for life. While there is both a small and large Munsterlander, they are different breeds of dog. 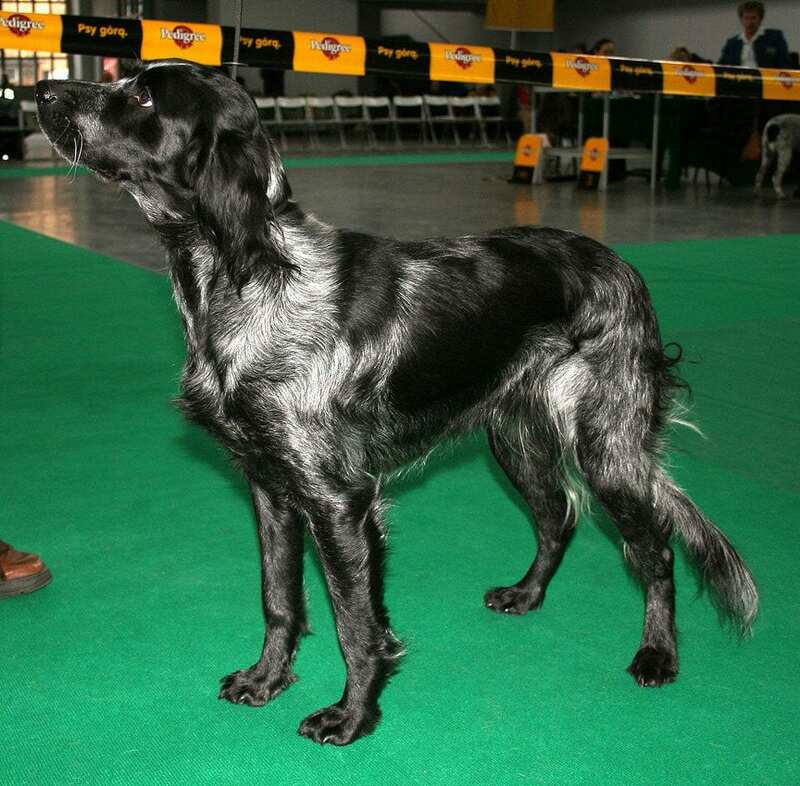 The small Munsterlander developed in the Twentieth Century by crossing the Large Munsterlander (a long-haired pointer) with spaniels. The small Munsterlander is a versatile dog that excels both as a hunter and as a family pet. Affectionate and mild-mannered the Munsterlander has bags of energy and incredible stamina. So, while it will adapt to and do well in a family home, this medium-sized spaniel is happiest when out and about. Intelligent, devoted and cooperative the Small Munsterlander does have a stubborn streak that may challenge inexperienced owners. 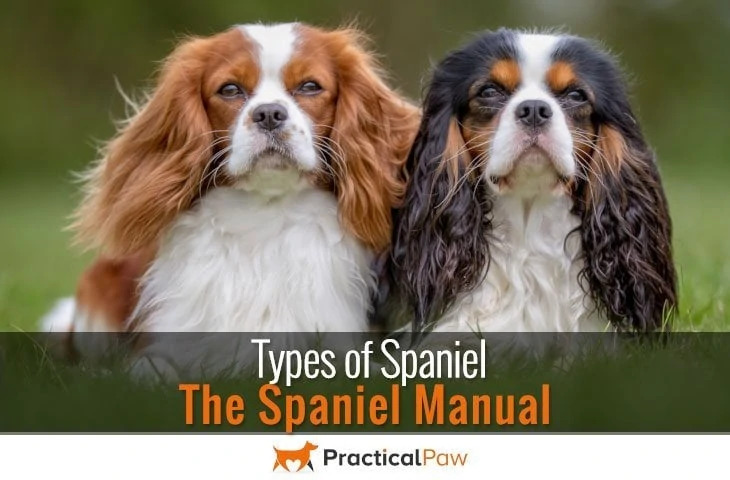 They are very sociable and devoted to their owners, and as with most Spaniels they do best when someone is around for most of the day. The Munsterlander’s coat is easy to care for, with weekly brushing enough to keep it looking good. Coat colours are brown on a white or ticked background. Gentle, devoted and tolerant, the Stabyhoun is a child-friendly dog. Its laid-back temperament means it’s patient and playful with children. While the Stabyhoun is calm indoors, like most Spaniel-type dogs, it remains a hunter at heart when outdoors. Despite the instinct to hunt the Stabij is less frantic than other Spaniels and is sensitive in nature and thoughtful in character. Though the Stabyhoun is eager to please, they also have a stubborn streak making them challenging for inexperienced dog owners. Having said that the Stabij is an extremely loyal, devoted and affectionate dog. Stabyhouns can be vocal and will alert-bark to protect both family and home. Even more than other Spaniels, the Stabij does not thrive in an environment where they are left alone for long periods of time. 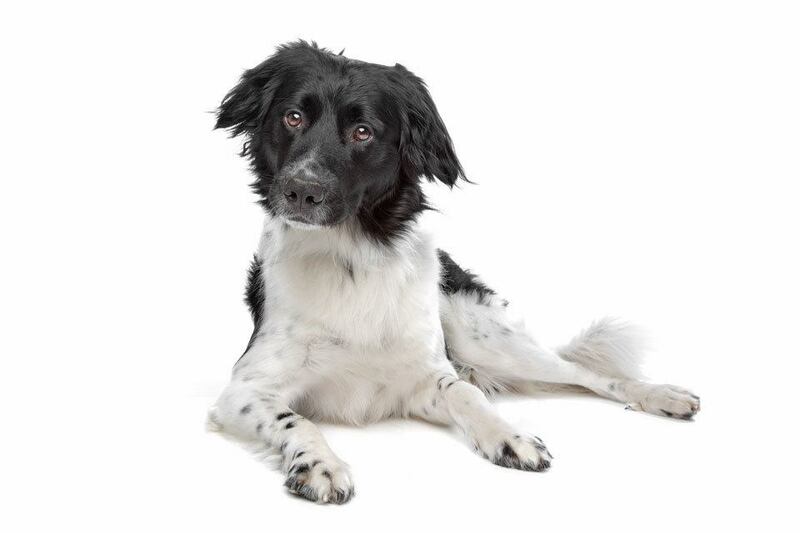 Stabyhoun translates to ‘stand by me dog’ and if you offer a home to one of these affectionate and loyal dogs they will stick by your side whenever they can. Despite it’s beautiful, sleek coat the Stabij doesn’t need much regarding coat care. A weekly brush is enough to keep the Stabyhoun’s coat clean and healthy. Deliberate and determined, the Sussex Spaniel may not be the fastest hunter, but they always get their bird. Low to the ground and stocky the Sussex Spaniel has a glossy golden liver coat that needs daily brushing to keep it looking its best. Intelligent, gentle and even-tempered the Sussex Spaniel does have a stubborn streak and can be possessive of their family members. As the Sussex Spaniel is affectionate and loyal, it thrives in company. As such it can become destructive if left alone for long periods of time. If you don’t mind a talkative dog, the Sussex Spaniel makes for an engaging companion. However, they are known to be vocal and are not shy to express themselves. Which makes them excellent watchdogs. Easy-going with a soft personality they can be challenging for inexperienced dog owners. 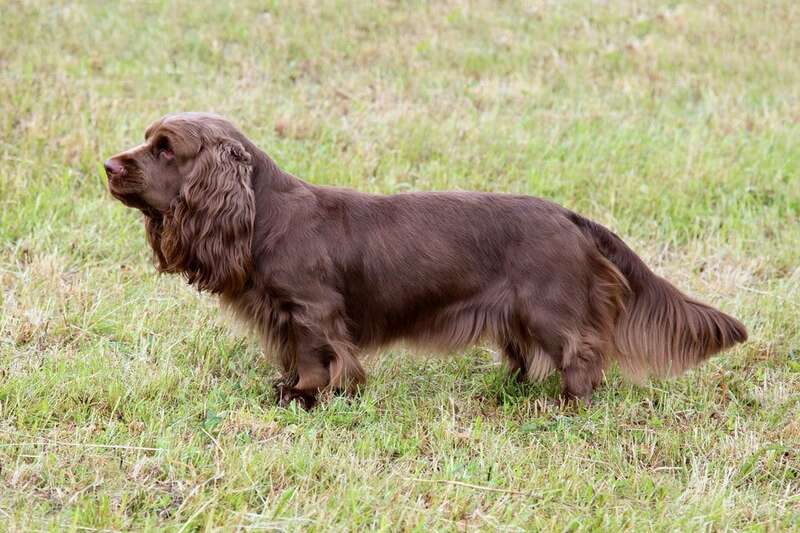 But in the right home, the Sussex Spaniel is a devoted family dog that enjoys the outdoors. 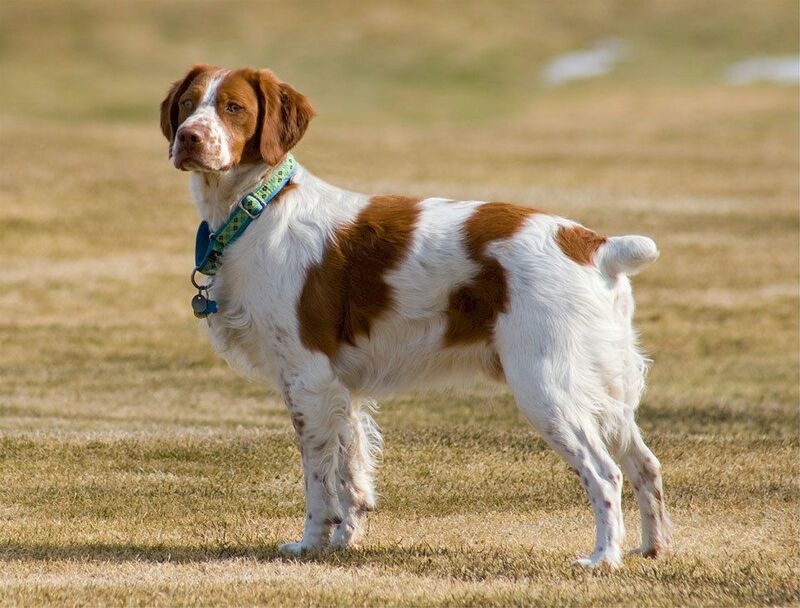 Lively, affectionate and intelligent the Welsh Springer Spaniel is both a working dog and family pet. Good around children, their even-temperament is both kind and patient although they can be boisterous when young. While they are relatively easy to train, the Welsh Spaniel can view commands as more of a suggestion and do their own thing. Welsh Spaniels are devoted dogs and form strong bonds with their family members despite this somewhat wilful nature. While aloof with strangers they are sociable and friendly to people they know. Welsh Spaniels are happiest in an environment where there is someone around for most of the day. In fact, if left for long periods alone they can become destructive. Welsh Spaniels are playful and mischievous and are best suited to an active home where they have plenty of exercise and mental stimulation. 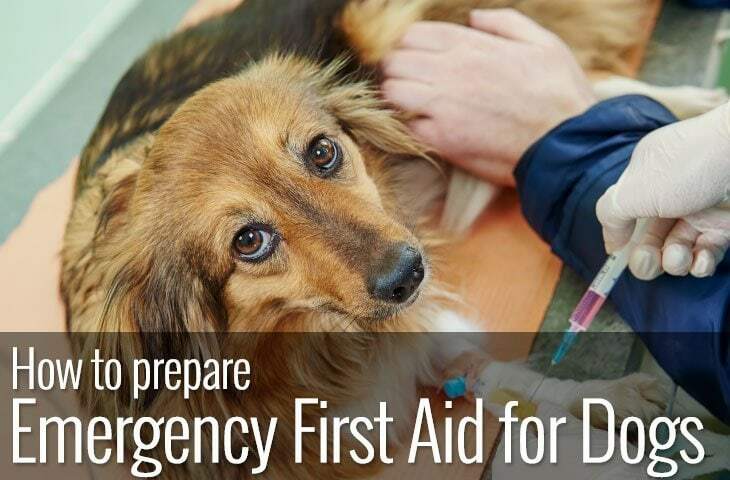 The beautiful red and white coat needs daily brushing to keep it healthy and to look good. As such the Welsh Spaniel is reasonably high in the maintenance department. However, this affection, easy-going dog is worth the effort. In the right home excels as both family pet and efficient hunter. There you have it, our complete Spaniel manual. 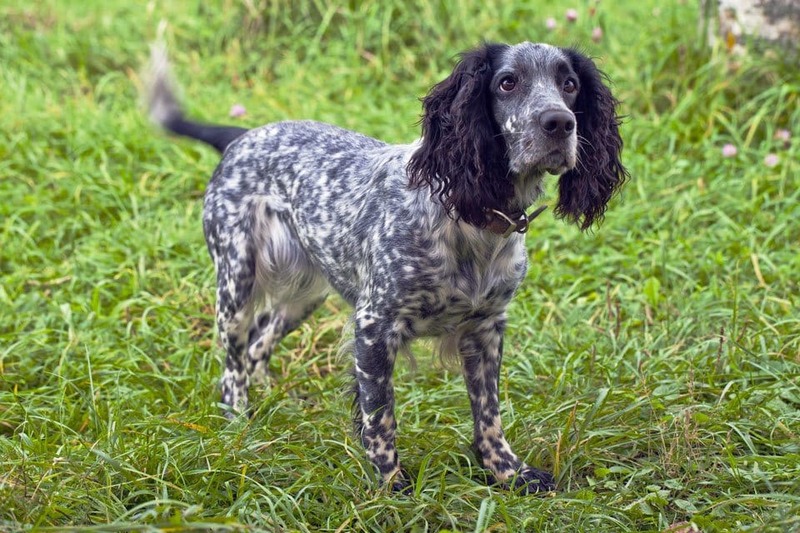 It’s no wonder that Spaniels are such a popular choice for both family and working dog. Gentle, hard-working and mostly obedient there’s a lot to like about this family of dogs. Whether you are looking for a large, active dog or small cuddly companion, there’s a Spaniel to suit your every need. While Spaniels are some of the most adaptable dogs, they do like a job to do. They show themselves at their best when they are both physically and mentally active. So, if you can offer a home that is active and busy with someone at around most of the day, a Spaniel will reward you with affection, playfulness and devotion.